of Americans with a mental illness did not receive treatment despite there being more access to insurance and access to treatment. Just because we are talking about it and have more access to mental health treatment, doesn’t mean we are able to actually get the help we need. The MHA report shows there is a shortage of mental health professionals in some states. In Alabama, one of the lowest ranked states, the ratio of mental health professionals is one for every 1,200 individuals . 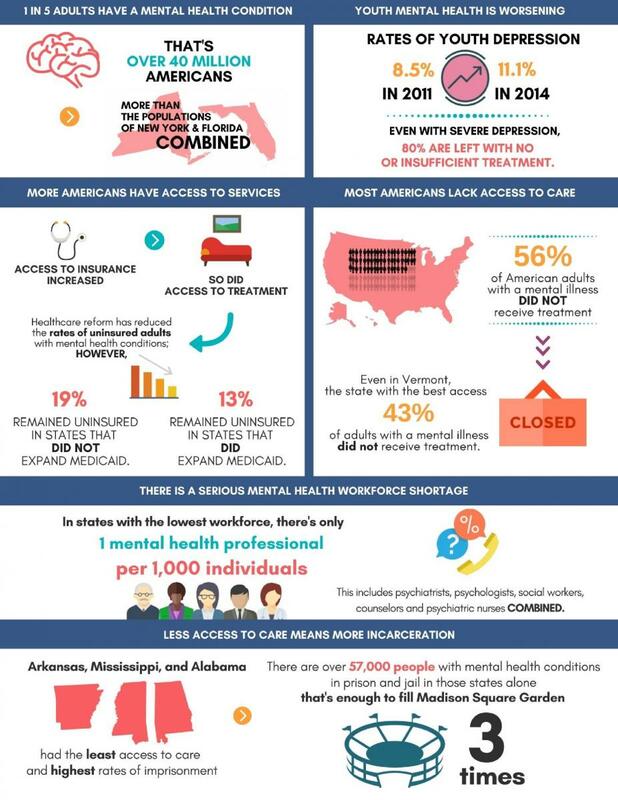 In Massachusetts there is 1 mental health professional for every 200 individuals . The national average is 1 mental health professional fore every 529 individuals. One factor that may be contributing to the workforce shortage is the delay in getting paid from the health insurance company. Some therapist have began not accepting insurance, which can lead to high out of pocket expenses for those in need of care. 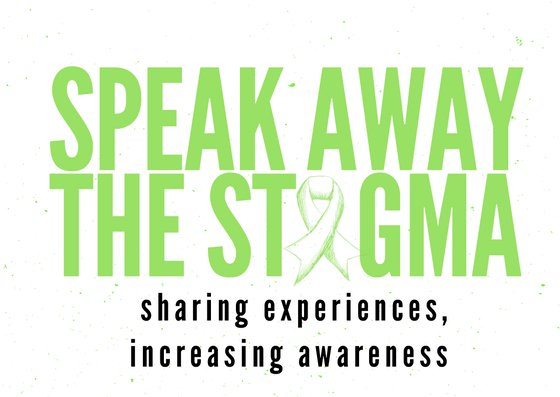 Many people may wonder what is happening to the people that cannot get the help they need, whether it is an access issue or they just cannot see their doctor or therapist often enough. Well for this answer we look at some of the states with the lowest rates of access to mental health care: Arkansas, Mississippi, Alabama, Texas, Georgia, and Florida. These six states also have some of the highest incarceration rates; 57, 000 people are in jail or prison in Arkansas, Mississippi and Alabama alone. Over 1 million people with a mental illness are in jail or prison each year, and according to the Access to Mental Health Care and Incarceration report they enter into the criminal justice system for petty offenses and misdemeanors. The full report can be read here. Mental Health America and the National Alliance on Mental Illness are just two places you can turn to for education and resources. Check your health insurance provider to see what mental wellness benefits you may have, it may cost you less that you think to get help! Check with your HR department to see if your employer may offer an Employee Assistance Program, or EAP that may offer free sessions with a therapist. If you don’t have insurance contact a therapist and inquire about a sliding fee scale, or cash rates. Most importantly don’t forget to just check on people. When you reach out to people and genuinely ask how they are doing, you may be surprised at the answer, because those with mental illness have perfected masking the signs.